See our 2011 winners here. See our 2012 winners here. See our 2013 winners here. See our 2014 winners here. See our 2015 winners here. KBR's annual Unpublished Picture Book Award has been running since 2011 - and has expanded each and every year, with entries from all over Australia. The Award has been for picture book manuscripts on any theme, of 400 words or less, from both published and unpublished authors. 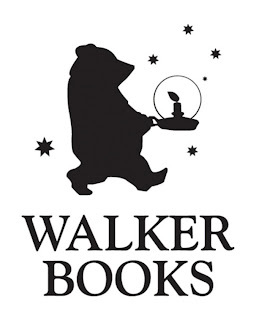 Winners have traditionally won a cash prize and the opportunity to have their unpublished work viewed by Walker Book Australia. In 2014, we opened the Award to illustrations, too, with imagery viewed by Penguin Books Australia. As our team have become even busier in our personal lives, with many of us also producing our own books, we have most sadly decided that Award will not continue. You can read more about this here. Here are just are just some of the wonderful comments we've received regarding our Award for 2013. We think you loved our feedback sheets! Thank you for providing such valuable feedback. I'm looking forward to squeezing as much from it as possible. As an emerging writer, I crave feedback and have joined a writer's group, asked friends/family and other writers for any feedback, however the feedback I received from KBR shows the knowledge and understanding the judges have of children's stories, and I have gained an insight into how my writing would be viewed by publishers. My writing has certainly improved after being part of the KBR competition. Thank you for all the time and effort; it is greatly appreciated. Thank you so much for this feedback, so invaluable! This is actually the best and most helpful feedback I have ever received. I'm incredibly grateful for the time and energy spent on this feedback and I know it will help me to further refine the draft. Thank you for your kind, constructive and generous comments. I can’t thank you enough for this incredibly constructive feedback! You have given me a great deal to think about and I so appreciate the time judges spent providing commentary. Thank you for introducing this new element to the KBR Award. Thank you so very much for the advice as to where to take my story from here. It is wonderful to see enterprises supporting emerging children's literature - keep it up! Thank you for the detailed feedback sheet on my manuscript. I really appreciate it. Thanks so much for the time and effort that you have all gone to with the feedback sheets. The feedback was very constructive and will be put to good use, just when I find some more time for myself and writing! Thank you very much for the attached feedback sheet! It is so helpful! Thank you for the awesome feedback on my two manuscripts. You've given me some great guidance to work with and a lovely confidence boost. Thanks again for a wonderful opportunity. I just wanted to say a HUGE thank you for the extra feedback. This is my first attempt at writing a manuscript so to receive such positive and constructive feedback is invaluable. I'm feeling very inspired and have already started reworking my manuscript. It is comforting to know that I'm heading in the right direction and, who knows, hopefully one day you'll see [my work] on bookshelves. Thank you so much for my award and your terrific feedback. Thank for the recently received feedback on both of my submissions. It is much appreciated as it will help me to understand requirements for picture books. Your feedback has been so wonderful – so well-orchestrated! Thank you all for your time and effort in running this competition again. It means a lot to have somewhere to showcase your work and to get some constructive feedback. I shall return again next year. I also want to say a quick thanks for your website in general. Thank you so much for the feedback sheet. It was so inspiring for someone entering their first writing competition. I'm very grateful. Thanks so much. This has given me a burst of encouragement and inspiration to keep on task. Thank you KBR. That's really quite detailed feedback. I appreciate it. Just wanted to thank you so so much for this feedback. It's so helpful. I really appreciate it. Absolutely love and appreciate your feedback, which is always worth its weight in gold. Thank you so much for the feedback. I am very new to this and your feedback has been extremely useful. Thank you for your feedback sheet. I found it to be most constructive and useful. I will definitely use it to as a guide to improve my story, as well as future writing projects. Once again, thank you for everything. It’s not often someone bends over backwards, especially in high stress situations. The feedback from this competition has been invaluable and helped me to look at my stories from a fresh angle and given me many ideas to improve them. Thank you! We're so pleased that the feedback has given you fresh ideas and perspective on your stories. We wish you every success with your writing and hope to see your submissions again for the KBR Award in 2014. At the risk of being redundant, I want to say thanks for the feedback sheets as well. Soooo, I didn't really set your world on fire but being told that, and why, was invaluable to me as a beginning writer and one who wants to see her book in someone's chubby, sticky, hands one day. I know that completing giving good, genuine, feedback takes time, so thank you so much, I'm definitely going to have another tilt at it next year. We're so pleased that you found our feedback helpful. We understand that it is disappointing to put your work out there and not get an enthusiastic response, but we are very pleased that you have taken our feedback on board and are using it to refine and edit your work. We're looking forward to reading your story (or stories!) next year. Happy writing! Will there be a competition for children's picture books for 2016?